The 5,000 square foot Harmon Estate is one of the most luxurious properties in the Los Sueños resort. It is a great Costa Rica private rental that is blessed with stunning views and surrounded by lush tropical gardens. 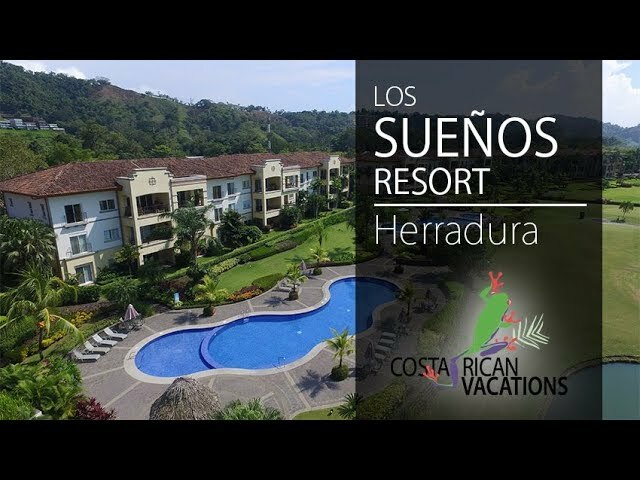 Los Sueños resort is situated on Herradura Beach, just one hour from the international airport at San Jose and close to many great surfing beaches, tours, and the nightlife of Jaco. This six-bedroom house features opulent details like imported marble, carved wood, and hand-crafted tile. The master bedroom occupies an entire floor and features a stunning walk-in closet, private bathroom, and lovely vistas. The house can accommodate up to 12 people and features an additional small quarter with full bed, private bathroom, and TV. Guests also have access to the lovely Los Sueños Beach Club and Marine Village restaurants. High-speed internet and free phone calls to the US and Canada. Access to other Los Sueños amenities like the golf course and beach club.